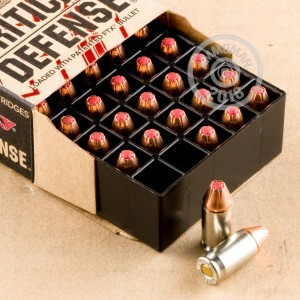 If you are looking for a top of the line self defense round, then this is the stuff for you. This jacketed hollow point is chambered in one of the best pistol calibers on the market. JHPs are designed to expand after hitting their target, causing massive damage and stopping power. Each one of these rounds is non-corrosive, is boxer primed, and has a re-loadable brass case. Experts recommend that you only carry JHP rounds in your carry or home defense pistol. Experts also recommend practicing with the round you intend to carry, to make sure that you fire your weapon accurately when you need it most. So, pick up a few boxes today and get out to the range! 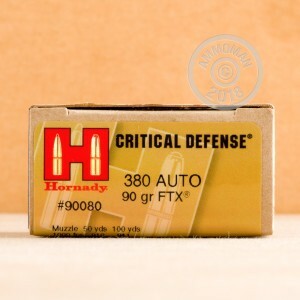 Hornady produces a wide variety of high quality self defense and hunting ammunition. 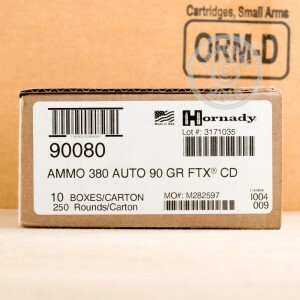 When you buy Hornady ammunition, you are buying the best the market has to offer.